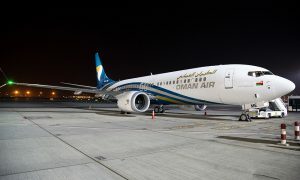 Oman Air has taken delivery of the second of 30 Boeing 737 Max 8s it has on order on Sunday 11 March. 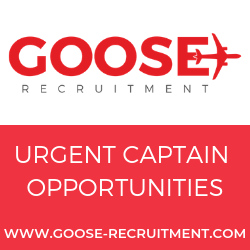 The aircraft will allow the national carrier of the Sultanate of Oman to continue its growth. The 737 MAX family offers the greatest flexibility, reliability and efficiency in the single-aisle market, with eight percent lower operating costs than its main competitor. Oman Air expects to receive a total of five 737 MAX by September 2018. Configured with 162 seats in two class: 12 in business and 150 in economy with significant enhancements across both cabins, the MAX aircraft is a testament to Oman Air commitment to continually upgrade its product offering to improve its customer satisfaction and enhance the overall guest experience. 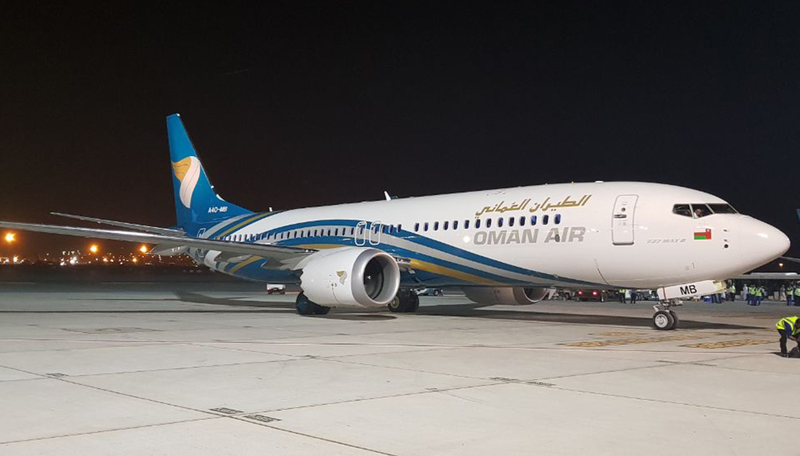 With the addition of the new MAX, Oman Air’s fleet currently consists of seven Boeing 787 Dreamliners, six Airbus 330-300s, four Airbus 330-200s, five Boeing 737-900s, 21 Boeing 737-800, two Boeing 737 MAXs and four Embraer 175s. In June, Oman Air will also receive the first of its three 787-9 Dreamliner on order, two of which will have a new First Class product with 8 full privacy mini suites, 24 Business class seats and 232 Economy seats. The aircraft will be equipped with leading technology, latest in comfort and amenities, including cutting-edge entertainment to enhance the travel experience of their guests. 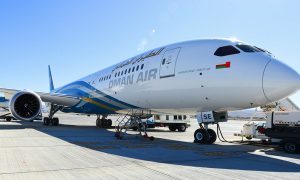 In 2018 Oman Air will be launching three new destinations – Casablanca (Morocco) in June, Istanbul (Turkey) in July, and Moscow during the Winter Schedule 2018. 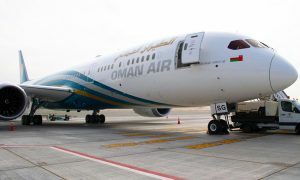 The three new routes are part of Oman Air’s strategic expansion plan, providing a streamlined global network that offers greater connectivity at its Muscat hub.